If so, then it is very likely that you work somewhere in the Interlocken or greater Broomfield area. Perhaps you are a long-time employee of one of the many high-profile companies here, or perhaps you’re a new or soon-to-be transplant. In the event that you are looking to Interlocken as your future or near-future home base, there are a few things you should know. First of all, you’re in a good place…and not just geographically. Of course, the Interlocken Business Park and Broomfield do have a very boast-worthy location, just a quick 20-minute drive from both Denver and Boulder, with gorgeous mountain views to boot. Secondly, the family-friendly features are great too. The Broomfield school system is exceptional, offering the latest teaching methods and technologies. 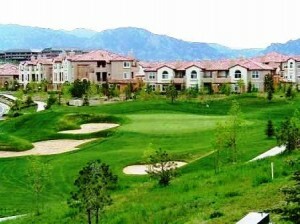 Additionally, the city of Broomfield offers a wide range of amenities- from specialty grocery stores to famous eateries and entertainment. Perhaps the most well-known feature of the area is the Interlocken Business Park, situated where highway C470 ends and just across from the Flatirons Mall. Companies like Oracle, Vail Resorts, Booyah Networks, Clifton Gunderson LLP, VMWare, McKesson, and Time Warner are just a few of the companies that call Interlocken their home for business operations. Whatever the case, consider allowing Housing Helpers to do your housing work, so that you can do your business work. With a variety of furnished apartments and temporary housing options, your contract need not interfere with your ability to feel at home…even if only temporarily. The corporate department at Housing Helpers works hard to ensure you feel right at home, for however long or short that may be, by providing custom furnishing tailored to your preferences. So wherever your job takes you in Colorado, Broomfield or otherwise, allow our relocation services to be at your service. This entry was posted in Broomfield and tagged Broomfield, broomfield apartments, broomfield corporate housing, broomfield homes, broomfield rentals, Flatirons Mall, furnished apartments Broomfield, Interlocken, Interlocken Apartments, relocation on January 2, 2013 by John Iannone.